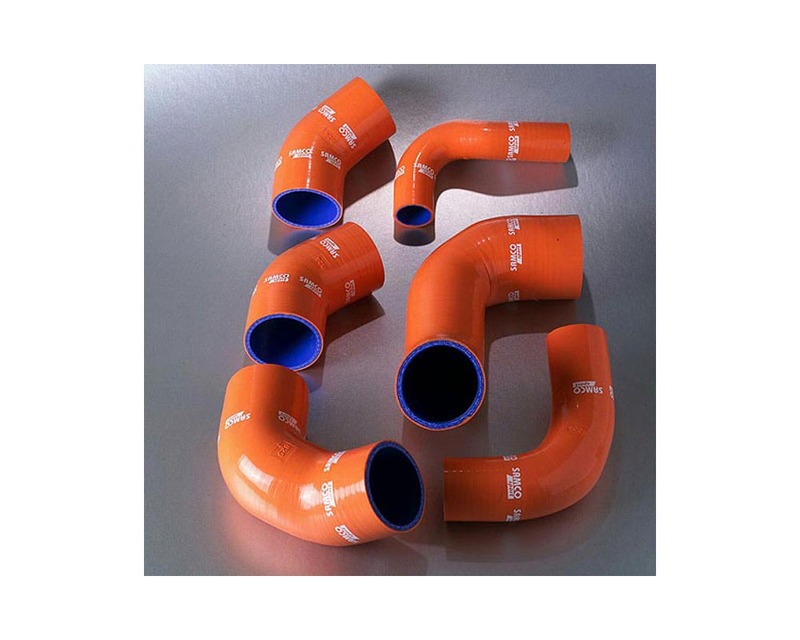 Samco Hose available in Blue, Black, Red, Yellow, Green, Purple, and Orange. Please select color below. All SamcoSport hoses are made by hand in the UK and each hose is 100% visually inspected before it leaves the factory. All hoses meet or exceed the requirements of SAE J20 & are manufactured under an ISO 9002:2000 quality system. Each hose is made from the finest European silicones specifically designed for automotive use, and the light blue SamTek lining used on all hoses has delivered outstanding resistance in the harshest environments over the last 12 years.